2019 NYE party! great times! Made over 800 Bloody Mary at the Bloody Mary Festival boy was I swamp but I kept a smile on my face. JoAnn (client ) Kentucky Derby Party 2 cocktail menu. And great punches! The Best personable and Professional Licensed bartender. 12 years of bar-tending experience. A private bartender that offers full service bar-tending services. Weddings, house party, bridal shower, birthday parties, game events, grand opening events, celebrity event, sporting events, LGBT events, cookouts, family reunion, festivals, NYE events and much more. My services include-I bring all my bartender supplies and limes. I help with drink list and shopping list all included in the price. I can make cocktails that fit your event theme. I will travel to your event or home 1 hour to 30 minutes prior to the event. I will set up the bar and break down the bar. I will clean up the bar area. Denise was so professional before, during and after the event. She stayed in touch before the event and made sure I had a shopping list and could find everything I needed. She made a drink list which was designed to coordinate with my party theme. She made great drinks and my guests were very happy with her and her good customer service! I would recommend her to everyone I meet! Thank you so much, JoAnn, I appreciate your review. I had a great time at your event. Yes, please tell your friends about me. Thanks. Thanks for a seamless event! Denise understood exactly what we needed for our corporate festival participation from the beginning, which means she quoted appropriately and made good recommendations to help us get it right. Denise was timely and proactive with all communication and showed up the day of the event early and completely prepared. 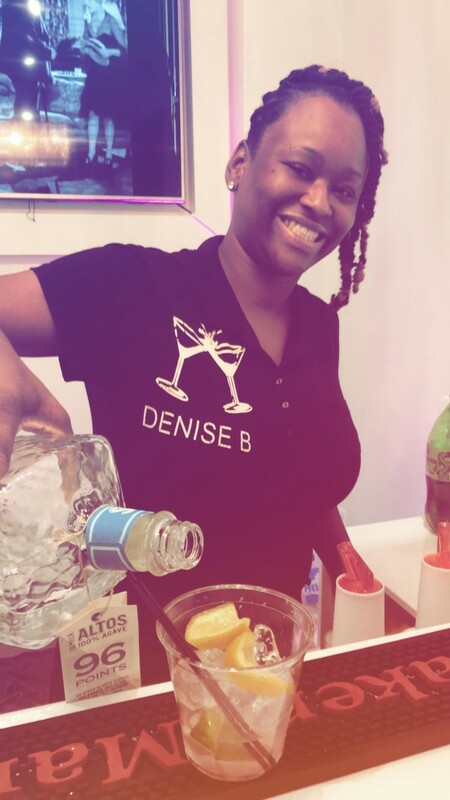 The event was crazy busy and Denise worked hard and maintained a positive attitude throughout. Would definitely hire Denise again! Thank you so much, Leslie! I really enjoyed working for you. I hope to see you next year! again, Thank you. Thank you MrsLydia I can’t wait to do your spring party! Denice came early and set up everything we needed for the bar at our Halloween Costume Party. 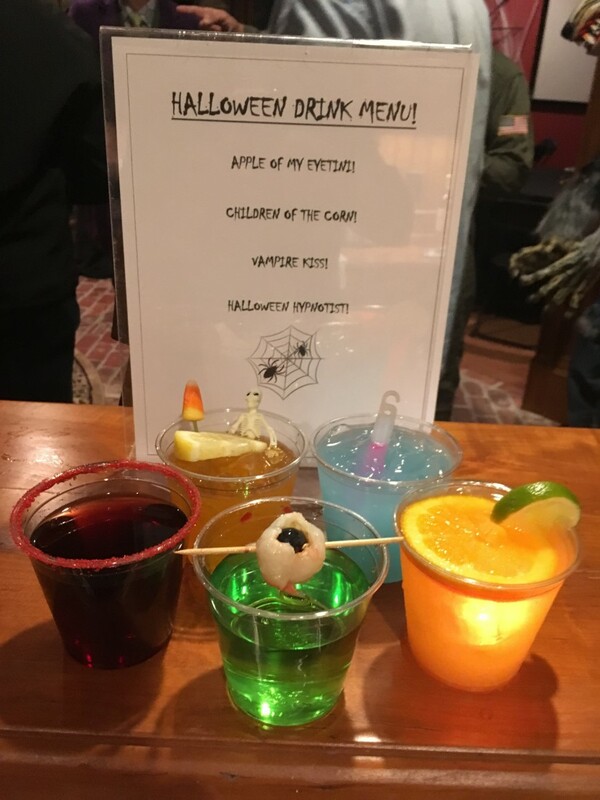 She sent me a list of Halloween drinks ahead of time and we picked out a few that were quite a hit! Thank you for a great job!!! Thank you so much Barbara. I had a blast making fun drinks. Your home was decorated so beautifully! Denise was a fun and energetic. I Asked Denise to come up with a signature drink that was one of my Wedding colors and I must say she nailed it. The drink was a big hit and everyone is still talking about how good the bartender was. Thank you Demeatre. I wish you and your wife many years of Happiness! Denise was available upon short notice and was very conscientious and consistent in her communications with me. 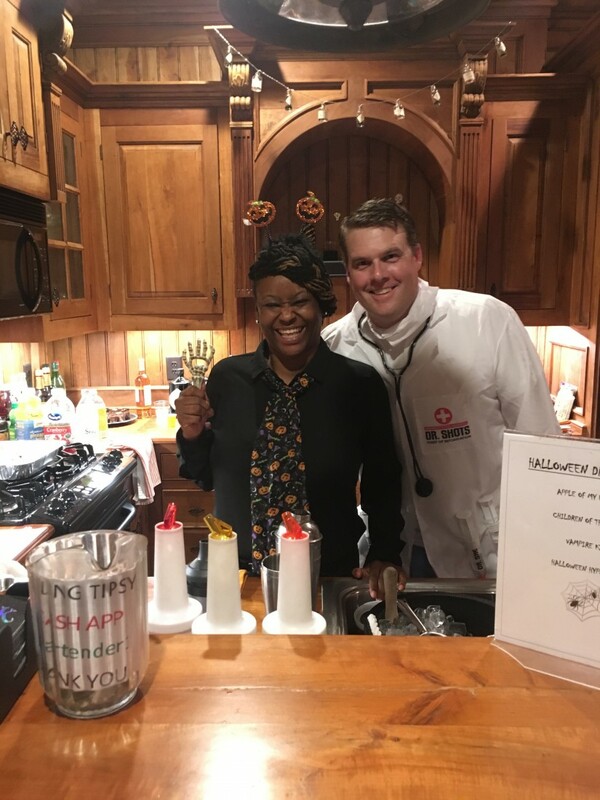 We had never had a bartender at a party before and she was very patient and understanding with us as we were a little unorganized at first and forgot to buy a few things needed. Her drinks were tasty and she got along great with us and all of our guests. I definitely would engage her services again and recommend her to that anyone needing a bartender! Thank you Megan for hiring me. Every time I needed an event covered Denise has been there to help me out! Early, prepared, and professional describes her to a "T"! I would bring her onboard as a bartender any day! The night before I make a courtesy call. I am always a phone call away to answer any questions. I bring my smile and charm while always remaining professional. I arrive 30 minutes early to set up the bar. I break down and clean up the bar area. Ice scooper, clean Ice bucket, shaker and strainer, wine opener, bottle opener, towels, tip jar and other misc tools. Upon request I can bring a drink menu, a cooler, and blender for frozen drinks. I am certified, professional bartender. I have over 12 years of bartending experience. I attended Edward Floyd Bartending School located in Harrisburg PA. 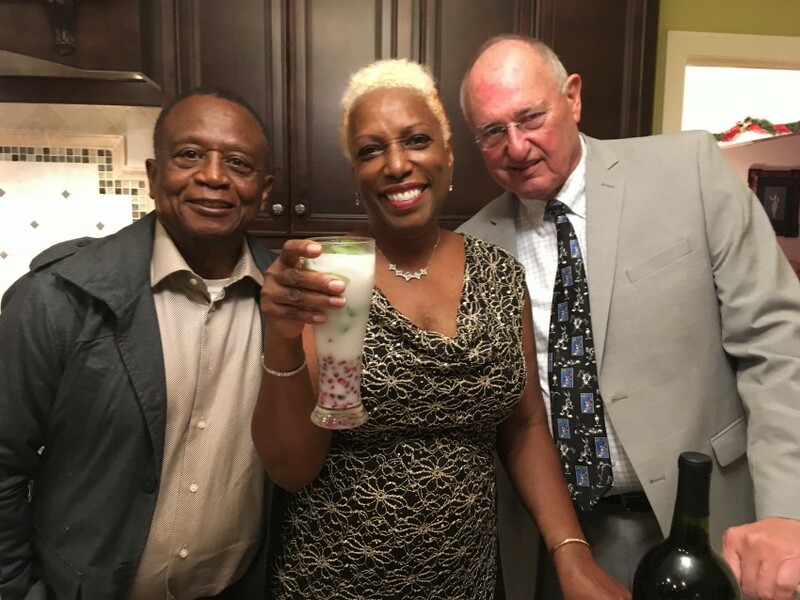 I bartended at many events in Atlanta and surrounding areas. I have done sporting events (NASCAR race) private party, baby showers, birthday parties, cocktail parties, holidays event, alternative parties and, grand opening, businesses, cookouts, family reunions celebrity events, and lots of weddings. I am available 7 days a week. I have excellent reasonable flat rates during the weekdays Sunday-Thursday. I am located in Atlanta, GA. I will travel out of Atlanta for an extra gas fee depending on the distance. I truly love bartending and making people smile.